It's kind of old by now, but I thought it was worth mentioning that ABC was so upset with feature director Sonnenfeld for going over budget with the second episode of Pushing Daises that he's been forbidden from directing any further episodes for the time being. It seems a little strange for a network to go to those kinds of extremes since practically every show has episodes that go over budget. In fact, if I'm not mistaken (and any people who know, feel free to correct me in the comments) this is the primary cause of clip shows - episodes that take place almost entirely on pre-existing sets with little action or special effects. Every show has got at least one per year, some of them are just freelance scripts being run through the machine giving new writers an opportunity, but most of them are the penalty for budget overruns. There's only so much money to go around and if you've got two episodes over budget, at some point during the season, you need at least two episodes that come in under budget by the same amount. I'm not privy to everything that goes on in television (in fact I'm anything but that) but I've never heard of a reaction like this. Directors aren't the hotshots in television that they are in film, but Sonnenfeld is a producer on Daises, so maybe this is a shot over the bow not just to this show, but all their shows, that going over budget won't be tolerated this year. This insider says the two have made some sort of peace, but it seems doubtful that Sonnenfeld will direct the show again. Sonnenfeld, whose successful films include Men in Black and The Addams Family, tells us he'll "probably direct some future episodes down the road" but not just now, because he's very busy--taking his child to boarding school, giving a speech. Another source on the show also says Sonnenfeld isn't directing now because he's very busy, but in this version he's occupied with other television pilots (and, in fact, he is working on two). 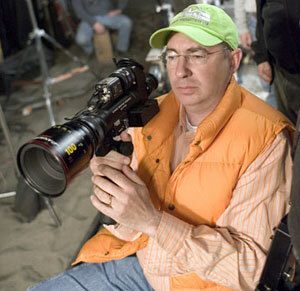 I'll tell you what, it takes some real guts to kick a director like Sonnenfeld in the balls like that. What the hell is ABC thinking?